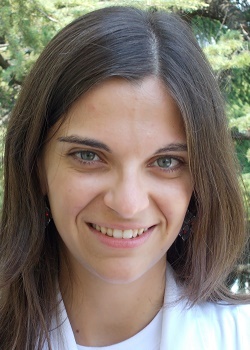 Bonanno Laura is Medical Oncologist at the Division of Medical Oncology 2 at Istituto Oncologico Veneto in Padova. She graduated with full marks in 2006 and specialized in Medical Oncology with full marks in 2011. Since 2007 she has been actively working at Istituto Oncologico Veneto, involved in clinical and research activity. She has been involved in many clinical trials (phase II-II), both spontaneous and “good clinical practice”. She achieved also molecular biology expertise, with particular interest in the field of translational research. During her residence she has also worked at Dexeus University Institute of Barcelona, under the supervision of Dr. Rosell, director of the Catalan Institute of Oncology and she was responsible of a translational research project. She has published in peer-reviewed journals and she has written e-book chapters in the field of thoracic oncology.